Yes folks, the rumors are true. A couple of us from Hololabs will be heading out west to the Pacific time zone to attend the Game Developers Conference in San Francisco. There may or may not be flowers in our hair. 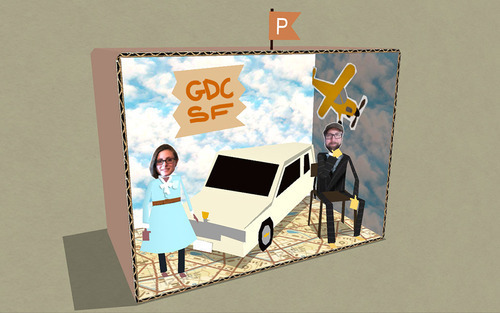 Anyhow, if you will also be going to GDC, and/ or will be in the San Fancisco region at the same time, drop us a line! We’ll be there for the whole week, by the way, and we are very much looking forward to seeing old friends, making new ones, and showing off Papercade. PS: If email isn’t your thing you can say hi any time over on Facebook, Google+, or Twitter.